Our physical and psychological health are inextricably connected—so much so that issues with our mental health can manifest as bodily pain or disruptions. 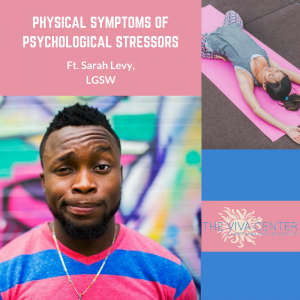 Below are a few common physical symptoms of anxiety, depression, and other psychological conditions, as well as suggestions from therapist Sarah Levy, LGSW on how you can treat them. Fatigue, muscle twitches, acne, and weight changes are just a handful of the physical symptoms that have been associated with ailing mental health. Is your head aching more than usual? The combined data from 19 WHO World Mental Health Surveys suggests that “a broad range of mental disorders increased the likelihood of developing severe and frequent headaches by 40 percent.” This includes not only mood and anxiety disorders, but also impulse control disorders. (For more information on impulse control disorders, check out this article). In other words, not only can stomach pain influence our emotional experience, but vice versa. These symptoms are not simply nuisances, but also major inhibitors in our daily lives. In 2016, the World Health Organization estimated that 50 million years worth of work would be lost between then and 2030 as a result of depression and anxiety alone. Debilitating physical symptoms like fatigue, migraines, and nausea play a major part in that. Lowered workplace productivity isn’t the only danger we face when coping with mental health concerns. The Center for Disease Control has found that those living with serious mental illnesses face an increased risk of chronic medical conditions, including both heart disease and respiratory concerns like Chronic Obstructive Pulmonary Disease (COPD) and asthma. It is also worth noting that the stress of certain physiological conditions, such as cancer, can increase one’s likelihood of developing mental health disorders, due in part to the emotional burden of managing chronic and/or fatal illnesses. Thus, chronic illness can both cause and be caused by poor mental health. 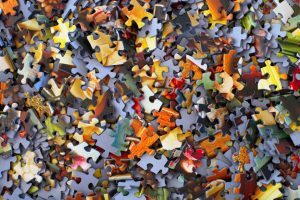 Luckily, as we’ve learned more about the connection between our physical and psychological states, we’ve developed more effective ways of improving them. The diverse modalities of mental health allow us to target symptoms in a variety of ways, from exercises designed to soothe our body to those for our mind (or, ideally, both). 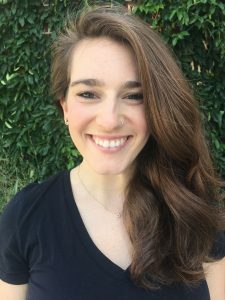 We turned to Sarah Levy, who practices mindfulness, dialectical-behavioral therapy, yoga, and more, to guide us through a few options for managing somatic symptoms. Noticing your symptoms is often the first step to resolving them, and for that, Sarah suggests using mindfulness. “The best thing about mindfulness is just the general increase in awareness about how specific emotions/situations are causing your body to react in certain ways.” Next time you feel sick to your stomach without a clear physical cause, you might consider whether or not you are in a situation that is causing you stress. The same may be true if you’re feeling abnormally fatigued despite getting several hours of sleep, or if you’re experiencing an eye twitch at work. Once you’ve identified your symptoms as being rooted in psychological strain, you can use different tactics to soothe them. Mindfulness techniques like body scans, object meditation, worry “surfing,” and more can be practiced virtually anywhere, anytime—more information about these activities (including detailed how-tos) can be found here. You can practice mindfulness on your own, or you can seek a therapist (like Sarah) who has been extensively trained in diverse strategies. Many dialectical-behavioral strategies also utilize the principles of mindfulness to soothe the physical symptoms of mental illness. For examples, Sarah recommends acting “one-mindfully,” which simply means doing one thing at a time. For headaches, Sarah recommends yoga. “Some gentle yoga neck stretches can be helpful. Bring your right ear to your right shoulder while you flex your left hand by your side (and on the other side). Another option is going to sphinx pose (you can easily find an image online) and doing the same thing—right ear to right shoulder (and on the other side).” Consulting a yoga practitioner can help you develop more personalized moves, suited to your specific pains. You can also take stock of what’s worked for you before—has listening to soothing music helped when you’re feeling nauseous? Does speaking with a therapist or a loved one before a major meeting lower your risk of feeling dizzy or becoming ill? You may have stumbled across a few highly effective symptom management techniques without even knowing it. 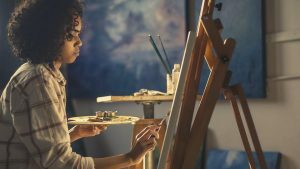 As painful and irritating as they may be, your symptoms can be lessened—or even eliminated—through thoughtful, personalized coping techniques. For more information about recognizing and managing the physical symptoms of psychological stress, you can contact any of our therapists via the addresses listed on their pages (Sarah’s is sarah@vivapartnership.com) or setup a free consultation. You have the power to improve your health.